The liver is the largest organ in the overall body of the human beings. It performs the most important functions, such as storing energy, digesting food, cholesterol levels, regulating blood sugar, and filtering toxic substances from the body, as well as fighting ailments and infections. In simple terms, fatty liver disease is the accumulation of fat in the liver cells inside our body. Let’s discover how to treat liver disease naturally at home with Healthy Guide! 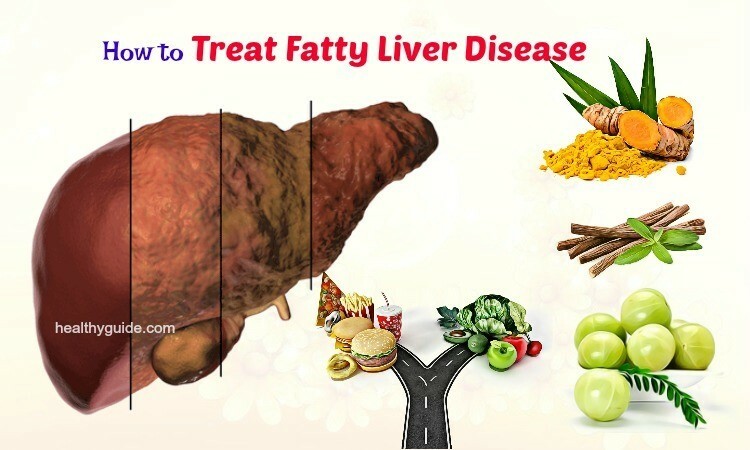 List Of Best Tips On How To Treat Fatty Liver Disease At Home To Try Out! In this article, Healthy Guide will show you some of the best home remedies for fatty liver that can be used in both adults and babies. So, if you or anyone else around you is facing this health condition, you should keep both of your eyes on this article right now. It is normal to meet the fatty liver issue. However, as there is more than 5% to 10% fat, it can be considered as the fatty liver condition. Fat can accumulate inside our liver as a result of regularly consuming foods that are high in fat – exceeding the fat amount that the body can process. A build-up of fat in our liver may make it susceptible to further damage, which can lead to scarring and inflammation. The liver is a hardy organ that can regenerate itself. However, protracted alcohol abuse can diminish the regenerative power of our liver, resulting in severe, and forever damage to our liver, according to a study . There are 2 types of fatty liver issue: non-alcoholic and alcohol-induced. The major factor behind alcohol-induced fatty liver is the excess alcohol intake. A few of our body’s liver cells die every time the liver filters alcohol. In non-alcoholic fatty liver, fat can build up in the liver for some trigger factors unrelated to alcohol. Some of these triggers are pharmaceutical drugs, excess weight, being diabetic, older, or middle aged, metabolic disorders, high blood pressure, high fat levels in blood, rapid weight loss, certain infections, such as hepatitis C, excess toxins, or genetic disorders. Generally, people who are dealing with the fatty liver disease experience little – to – no signs, particularly in the beginning. Nevertheless, some people may be attacked by fatigue, loss of appetite, abdominal discomfort, a general feeling of vague discomfort and being unwell. Some other signs reported are yellowing of skin and eyes, swelling in stomach and ankles, feeling confused or drowsy, bloody stools, or vomiting blood. This is the reason why proper diagnosis is crucial before starting any cure or home remedy. Currently, there is no useful cure for fatty liver condition. Nevertheless, it is a reversible disease and can often be cured with simple dietary changes, lifestyle changes, and easy-to-follow natural remedies. For people with alcoholic fatty liver issue, abstaining from alcohol for even 14 days can support the liver make a profound improvement in restoring its disease. 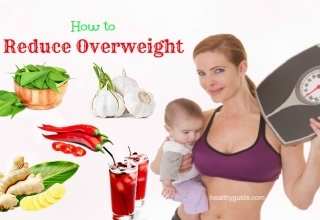 If you are overweight, take needed steps for a sustained and gradual weight loss result. A too fast weight losing process (losing four or more pounds within just a week) can cause harmful effects to the liver. Consume a well-balanced diet that is high in fibre and low in saturated fats. Fix the nutrient deficiencies using balanced multivitamin supplements if you do not consume foods well and/or are traveling. Support your own digestive functions from the inside better as the gut and liver work together. Consider taking a good probiotic, such as a probiotic supplement or yogurt, to help everything. Make good sleep your own priority to give sufficient rest to restore your liver and all of your own body. Minimize the sugar intake and excessive fruit consumption as well as limit your fried foods consumption. If diabetic, try to do your best to keep your blood sugar levels under the control of your own. Take all needed steps to keep your triglycerides and cholesterol at healthy levels. 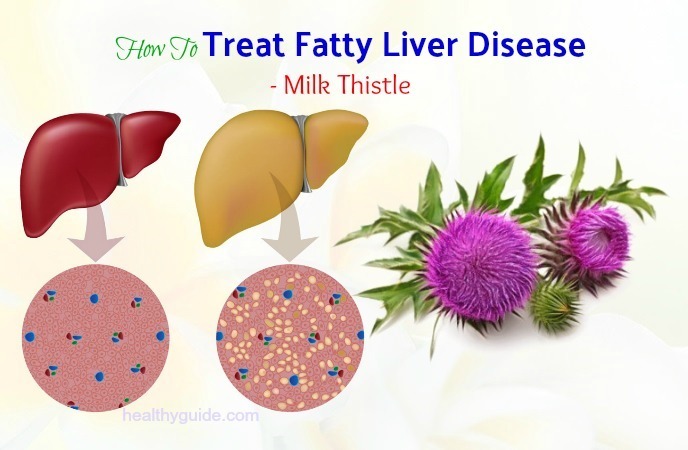 The first tip on how to treat fatty liver disease naturally at home you can make use is to use milk thistle. Milk thistle has a relatively long history for curing gallbladder and liver issues, even toxic poisoning. Physicians from long ago have proven that the usage of milk thistle can bring about benefits for health, such as bile secretion, the stimulation of breast-milk production, depression cure, as well as the protection against mushroom poisoning and other toxic substances from the environment. The major active constituent of this herbal remedy is fat-soluble complex known as silymarin. Silymarin is distributed via the whole plant but is very rich in the seeds and fruits. It is an antioxidant that can help to prevent the fats oxidation. Silymarin is as well as called antifibrotic that can help to inhibit the scarring of liver tissue. It also provides the capability to block toxins in human’s liver. Moreover, silymarin can help a lot in reducing the liver injury due to many different factors, such as medication; iron overload; radiation; viral infections, such as hepatitis, mushroom poisoning, etc. Silymarin has been made use to cure alcoholic liver disease, chronic and acute viral hepatitis, as well as liver disease triggered by toxins. For ongoing use and liver support, try taking 50 to 150 milligrams of this capsule every day. It will be even more useful if you blend it with other liver and body detoxification herbal remedies and healthy food choices. No need to say, regular moderate exercise should be focused as well. Follow a healthy plant-based diet that is abundant in whole complex grains, fruits, veggies, and healthy fats so that you will have chance to boost your own body’s liver function, as well as cure the fatty liver disease. Dietary modifications go a long way in controlling and preventing metabolic disorders, such as NAFLD. Among many separate dietary proposals for patients with NAFLD, Mediterranean diet is a recommendation which has a lot of health advantages. Whole grain foods, fresh fruit, nuts, and green veggies form the crux of the Mediterranean diet, according to a research . Avoid every type of high fructose corn syrup. Steer clear of processed foods or white flour and add more whole-grain products to your daily diet. Avoid fried and spicy foods and fatty meats. Water – ensure to have sufficient intake of water about 1 ½ to 3 litres on a daily basis based on your own body weight or ½ of your body weight (lbs) in ounces. Herbal teas count, but caffeine drinks do not. Consume more fibre, such as fibre-rich fruits like raspberries, guava, apple, and so on. Nevertheless, do not consume fruits in excess as most fruits are abundant in sugar. Insoluble fibre such as quinoa and oats can also rid toxic substances and boost the liver function. Eat liver-repairing and detoxifying superfoods such as kale, broccoli, lemons, cauliflower, beets, artichoke, Swiss chard, Brussels sprouts, and cabbage. Opt for organic as possible. While cooking, lightly steam your veggies to retain their nutritional values. Consume foods high in omega-3 fatty acids such as chia seeds, flaxseed, tofu, and walnuts. Indian gooseberry is well-known as amla, growing in the subtropics and tropics, is a nutrient loaded fruit and also one of the best factors in how to treat fatty liver disease with diet everyone should not skip at all costs! This fruit is used for both medicinal and dietary purposes. It is very high in carbohydrates, fibre, minerals, and vitamins. It is a very abundant dietary source of iron and vitamin C. The active constituents of amla include tannins, polyphenols, and flavonoids like quercetin. The high antioxidant activity of vitamin C and other polyphenols can aid a lot in keeping the liver coming with functions at optimal levels. This fruit has long been used in traditional Indian Ayurvedic medicine for vitality and vigor. Other medicinal issues that are traditionally cured with gooseberry are diarrhea, diabetes, dysentery, inflammation, anemia, and menstrual cramps. Dietary supplementation with quercetin (active ingredient of gooseberry) and gooseberry juice extract was reported to protect successfully the liver from toxic damage triggered by paracetamol – a pain reliever – and alcohol, according to a study . These results were validated through other researchs where amla extracts protected the liver from harms triggered by TB drugs, according to a research . 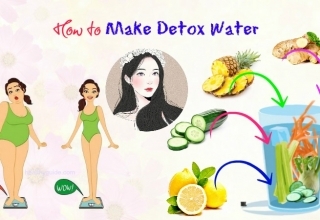 It can help a lot in getting rid of harmful toxic substances from the liver. In addition, amla is useful for people who have high blood cholesterol. First, try mixing 1 tsp. of amla powder within a glass of warm water and consume it 2 times per day or add to drinks, smoothies, or foods. You can consume three or four raw amlas every day or add this fruit in your cooking. 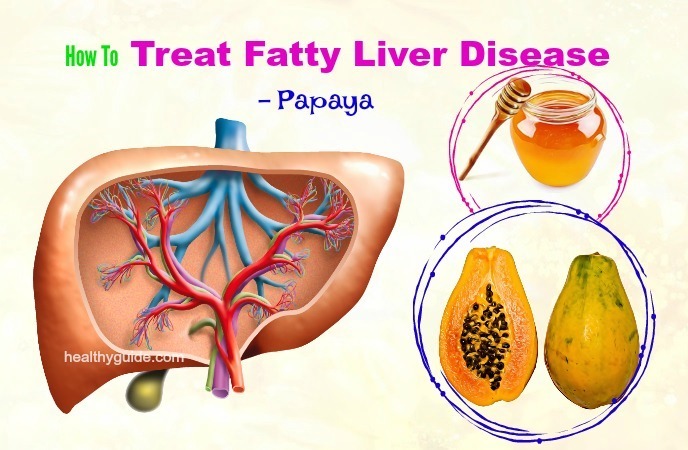 According to Ayurveda, both the papaya seeds and the fruit are useful tips on how to treat fatty liver disease symptoms that everyone can make use. Papaya is a storehouse of nutrients. It is abundant in vitamin B (nicotinic acid, folate, pantothenic acid) and antioxidant vitamins like vitamin A, vitamin C, and vitamin E. It is also abundant in minerals like magnesium, potassium, as well as fibre. Papaya has a protective effect against heart attacks, heart disease, and strokes. In a study  published in 2010, alcohol-soluble and water-soluble extracts of papaya were investigated for its hepatoprotective impact. The study demonstrated that both 2 types of papaya extracts were able to exert a hepatoprotective impact against the liver damage triggered by carbon tetrachloride. In addition, papaya aids in fast burning dietary fats, one of the major triggers of fatty liver disease. Consume a3 – 5 slices of ripe papaya (add honey if you want) once per day. Grind 5 – 6 dried papaya seeds and combine the powder with 1 tbsp. of fresh lemon juice. Take this two times every day for 1 month. Add raw papaya salad and soup into your diet. You can also try using licorice to cure liver issues, such as non-alcoholic fatty liver disease. Licorice root has been made use in folk medicine for a very long time, as it can work well like a cough expectorant to support weight loss. It is famous for the ability to exhibit both anti-inflammatory and diuretic effects. In addition, it can aid in settling an upset stomach, boosting a positive mood, alleviating fatigue, and raising low blood pressure. It is also used to cure physical ailments ranging from a common cold to liver disease, according to a research . The biologically active components of licorice are liquiritigenin, liquiritins, flavones, and glycyrrhizic acids. According to a study  published in the Phytotherapy Research journal in 2012, licorice root extract can aid a lot in decreasing transaminase activities of liver enzymes known as AST (aspartate aminotransferase) and ALT (alanine aminotransferase) in non – alcoholic fatty liver disease. It can also help a lot in preventing liver damage due to toxins and heavy metals. Another research  in 2016 claimed that licorice can help to arrest the advancement of liver injury triggered by alcohol through anti-inflammatory and antioxidative mechanisms. Licorice is also available in capsule and liquid tincture forms. Often, tablet forms of herbal supplements are not useful. Another choice is to add 1 tbsp. of powdered licorice root to your juice or smoothie daily. Alternatively, try mixing together 1 tbsp. of licorice powder and 2 tsps. of honey and have this combination once per day for several weeks. Try adding ½ tsp. of licorice root to 1 cup of hot water. Cover and let it steep within about five to ten minutes. Strain, add a little raw honey and consume this tea two times throughout the day. Consult your doctor first if you are taking licorice supplements because they may interfere with certain blood pressure, corticosteroid and diabetes medications. Caution: Remember to consult your doctor if you are hypertensive, pregnant, diabetic or have kidney disease, heart disease, hormone sensitive diseases, etc. Keep reading the article for more useful natural tips on how to treat fatty liver disease at home without having to make use of any drug, pill, or medical intervention. Turmeric is a spice that brings about innumerable health advantages. It has more significance than just as a curry powder constituent. Turmeric is jam-packed with valuable antioxidants so that using it is another useful tip on how to treat fatty liver naturally at home that readers should try. Curcumin is the main phytochemical presented in turmeric that brings about it medicinal value. A large body of experimental evidence claims that curcumin can possess the power to alter the immune system along with anti-inflammatory and antioxidant properties. These properties enable it to alleviate diseases, such as Alzheimer’s disease, cardiovascular disease, cancer, arthritis, gastrointestinal inflammatory diseases, etc, according to a study . In a randomized trial  conducted in 2016, a short-term supplementation with curcumin could reduce the symptoms associated with fatty liver in patients with NAFLD and was discovered to decrease liver fat. Nevertheless, more studies are still needed. Mix ¼ tsp. of turmeric powder in one or two glasses of water and boil it. Consume it 2 times per day for about 2 weeks. Turmeric supplements are available as tinctures and capsules. Look for a supplement that is standardized and offers factors, such as black pepper, to help with its absorption. Consult your doctor to determine the proper dosage for your own case. 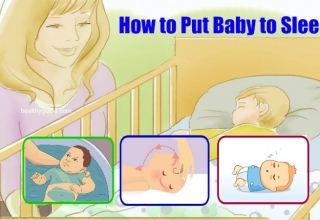 Stop using this method if there are issues like excessive gas, stomach pain, or loose stools. Turmeric can be hard to absorb in the body. It can help to dissolve better in a fat-containing medium, such as milk. You can try mixing ½ tsp. of powdered turmeric in 1 glass of warm milk and consume it once per day or more. Green tea is a well-known beverage with many therapeutic properties associated with it. It has an abundant content of flavonoids which are responsible for its antioxidant properties. Moreover, catechins were reported to influence lipid metabolism by diminishing the total cholesterol and triglyceride levels in experimental animal models and increase the energy usage. Researches on catechins and green tea extracts show that they have a protective influence against non-alcoholic fatty liver disease by reducing the inflammatory response, oxidative stress, and maintaining the energy balance. According to a study  published in the International Journal of Molecular Medicine in 2013, green tea with high-density catechins can help to improve the liver function and fat infiltration in patients attacked by NAFLD (non-alcoholic fatty liver disease). 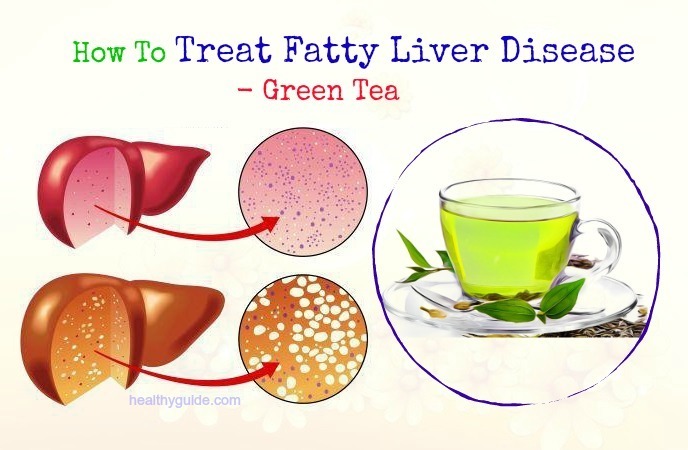 Another randomized clinical trial study  done in 2016 claimed that green tea extracts could improve the serum levels of liver enzymes in patients suffering from NAFLD. Green tea can aid a lot in blocking the amount of fat stored in the liver and can improve liver function. In addition, regular consumption of green tea can help to reduce fat percentage and body weight. Green tea is also available in the form of capsules and extract in liquid. Before taking supplements, remember to consult your doctor. Blend green tea (you can also try using powdered matcha green tea) into juices and smoothies. Drink three to four cups of organic green tea, cold or hot, every day to protect the liver and to help with fatty liver disease. The herb dandelion can work effectively as a powerful liver tonic. Thus, it can be used to cure fatty liver disease. Moreover, dandelion is famous for its anti-inflammatory, anti-diabetic, and anti-rheumatic properties effects. It can aid a lot in detoxifying and metabolizing fat accumulated in the liver and promoting proper liver function. Lab experiments showed that dandelion flower extracts were able to inhibit the lipids oxidation. In addition, a research  published in the journal Food and Chemical Toxicology in 2013 discovered that dandelion leaf extract can aid a lot in the treatment and prevention of obesity-related non-alcoholic fatty liver disease in experimental animal models. First, you can try taking dandelion as tincture/capsules every day. Check with your doctor for proper frequency and dosage. Add to 1 cup of hot water with 1 tsp. of dried dandelion root. Cover and steep for five to ten minutes. Strain, add a little honey for taste if necessary. Consume three cups of this herbal tea every day for a few weeks. You can also try adding dandelion to other teas, such as green tea. You can also try consuming cooked dandelion leaves as a side dish or adding fresh tender dandelion leaves to salads. You can also add other liver-boosting herbal remedies like artichoke and burdock. Note: Try not to use this herbal remedy if you are allergic to it or plants, such as chamomile, sunflower, etc. that belong to the Compositae family. Use with caution if you are diabetic as it brings about the blood sugar lowering impacts. If you are breastfeeding or pregnant, do not use in quantities larger than that normally used in foods and do not opt for tinctures because they are high in alcohol. Lemons are a very important ingredient not just in the kitchen but also for a lot of different medicinal purposes. Lemon has abundant amounts of vitamin C, an antioxidant that can help the liver produce enzymes including one well-known as glutathione. Glutathione amongst other tasks neutralizes toxic substances and thus lemon can aid in the liver detoxification process. Both lemons and limes are abundant in flavonoids. Some of the main flavonoids in lemons are narirutin, eriocitrin, naringenin, hesperitin, etc, according to a research . As evidenced through research, many of these citrus flavonoids are responsible for the beneficial lemon positive impacts on health. The flavonoids contained in lemon oil can help to boost the secretion of digestive juices, such as, bile; and thus can support the digestion. Eriocitrin, the main flavonoid of lemon, was demonstrated to have a lipid lowering impact on total phospholipids, triglycerides, and cholesterol in mice fed with a high-cholesterol, high-fat diet. In addition, a study  published in the journal Clinical and Experimental Pharmacology and Physiology in 2014 discovered that naringenin can aid a lot in easing liver inflammation. Lemon is also alkalizing for the body as it can aid a lot in flushing harmful acids. First, try adding two to three chopped lemons to 1 jar of water. Cover and allow it to stay within a few hours. consume this water at regular intervals all over the day. Alternatively, try squeezing the juice of ½ lemon in 1 glass of water. Consume it two or three times on a daily basis for several weeks, particularly first thing in the morning. This is also a useful tip on how to treat fatty liver disease naturally at home that we would like to introduce in the entire article today. 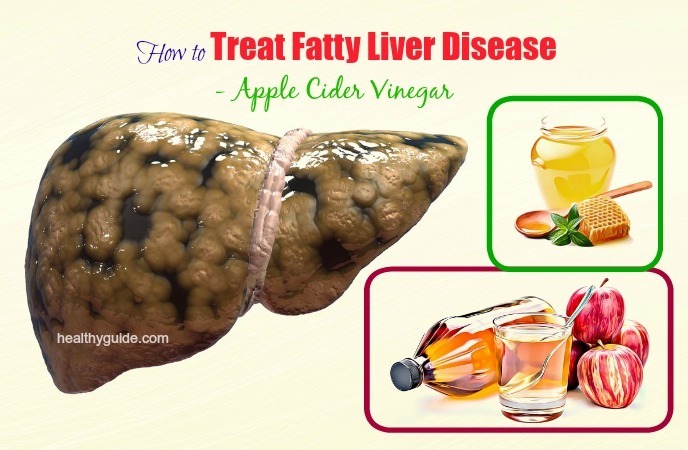 Apple cider vinegar  (ACV) is actually among the best remedy for fatty liver disease. It can aid a lot in getting rid of fat accumulated in and around the liver and boosting the weight loss process. A study published in 2014 investigated the potential ability of apple cider vinegar to reduce fats like triglycerides, cholesterol in mice that were fed a diet high in cholesterol . It stated that apple cider vinegar protected the kidney, blood cells, and liver from injury due to oxidation , and also lowered the lipid levels in the blood. It could also enhance the antioxidant enzymes levels. In addition, it can help to reduce liver inflammation and encourage healthy liver functioning. Try adding 1 tbsp. of raw, unfiltered apple cider vinegar into 1 glass of warm water. You can also add a little raw honey (optional). Before having any meal, consume it two times per day. Follow this method for a few months. Caution: Apple cider vinegar is acidic, so remember that before use as instructed above, you need to dilute it first. Initially start with a small volume (1 tsp.) of apple cider vinegar, and then increase it to 2 tbsps. gradually if the body is comfortable with it. Try not to take it excessively. A research published in 2005 in in the Journal of the Academy of Nutrition and Dietetics showed that apple cider vinegar can lead to burning of the esophagus in those drinking it undiluted. It could interact with other prescription medicines. 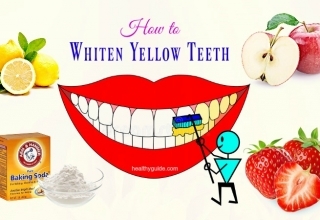 Vinegar can also harm tooth enamel; hence it is useful for washing your mouth after drinking. This is not a tip on how to treat fatty liver disease with diet, yet it is also very helpful so that people should not skip at all costs! Regular physical exercise can really aid in treating fatty liver disease. A regular exercise program can help to fight obesity as well as maintain a stable body weight. It will also boost the metabolism rate and aid a lot in maintaining proper liver function. Exercise for at least half an hour on a daily basis to achieve the best results. After reading this interesting article, we hope that all of my readers can find some of the best solutions helpful to deal with the symptoms of fatty liver. Actually, all of the home remedies for fatty liver that we mentioned above are safe and effective in treating the fatty liver symptoms without causing any unwanted side effects. Therefore, you can feel secure when applying any of these home remedies. Now, if you know other effective home remedies for fatty liver disease in babies and adults, you can share them with us by leaving your comments in the comment section below.